Thank you for your gift in support of Sierra Club Canada Foundation. 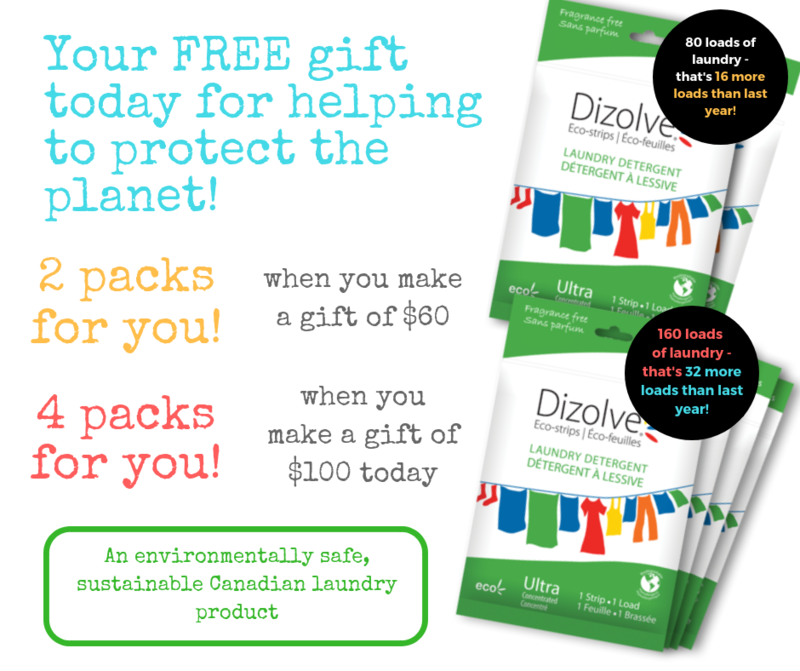 We hope you love Dizolve Laundry Eco-strips as much as we do! If you make a special donation of $250+, we'll send you our comfy, cozy SIerra Club 1/4 Zip, available in two styles - traditionally women's style, or traditionally men's style - you choose!